Can Anything Be Done About Collection Agencies And Their Rude Conduct On The Phone? Yes, absolutely. What we have seen over the past several years in this country is not only an increase in job loss, home foreclosures, car repossessions, and bankruptcy filings. We have also witnessed a tremendous growth in the collection industry. This growth is due to the unprecedented levels of debt that people have recently accumulated; debts that people are having more and more difficulty paying. To begin with, it is important to understand that when a collection agency takes over a debt, they have purchased that debt from the original creditor. But they end up paying sometimes pennies on the dollar, so there is a lot of incentive. For instance, let’s assume you owe $20,000 on an old credit card. Eventually the creditor will sell the debt to a collection agency. The collector will typically pay the original creditor 20 cents for every dollar of the debt. But the collector still gets to collect on the full $20,000. And as everyone who has been called by one of these guys knows, they tend to use aggressive tactics. I have had clients who have been threatened with law suits, job loss, jail time, severing of friendships, and even a denial of the right to vote! Just to be clear, none of these things are going to happen. They are simply tactics used in an attempt to get money out of you. And to be sure, these tactics frequently work. When someone is calling you non-stop, day and night, with threatening phone calls, you just want it to stop. And people often cough up money they really don’t have in order to get some relief. But these tactics are illegal. They are federal violations of law, specifically the Fair Debt Collection Practices Act. This act bars collectors from engaging in certain conduct in their attempts to collect on a debt. Examples would include threats, calling several times a day, or contacting your place of work after you have told them not to. Another prime example of conduct that is in violation of the act would when the collector contacts you on your cell phone. The act specifically states that communication made between the two parties cannot be as a result of the collector calling you on your cell phone. So if they have done such a thing, they are in violation of the law, and have to pay a fine to you. Of course, determining whether or not such violations exist is not something that most people are clear about. This is why it is so important to hire an attorney with the experience necessary to fight against these illegal tactics. 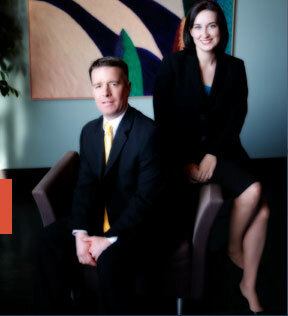 The St. Louis bankruptcy attorneys at Brinkman & Alter, LLC have been aggressively going after collection agencies for some time with great success. Our attorneys can also inform you of your options about filing for bankruptcy as well to get rid of all the underlying debt. Whether it is a St. Louis Chapter 7 bankruptcy or a St. Louis Chapter 13 bankruptcy, our staff is prepared to help guide toward financial freedom, and get you the fresh start / clean slate that you deserve. All phone conversations and office consultations are free of charge.